Idukki (Kerala) Aug 11 : Thousands living around the Idukki dam and in Ernakulam and Thrissur heaved a sigh of relief on Saturday as the heavy rains predicted in Kerala did not happen and as a result the Idukki dam waters ravaging the area over the last few days subsided. Cheruthoni is the nearest town to the Idamalayar dam and with water gushing down the spillway for the first time in 26 years, there was heavy flooding in the area. 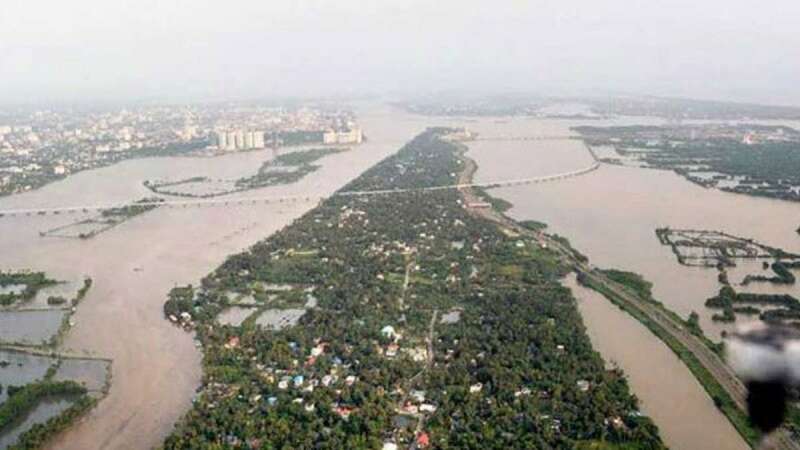 On Saturday morning, a team led by Chief Minister Pinarayi Vijayan accompanied by Leader of Opposition Ramesh Chennithala, State Forest Minister P. Raju, Chief Secretary Tom Jose and Kerala Police Chief Loknath Behra took off in a helicopter from Thiruvananthapuram to survey the worst affected districts.